Dollar has fallen more than 500 points over the last two days. 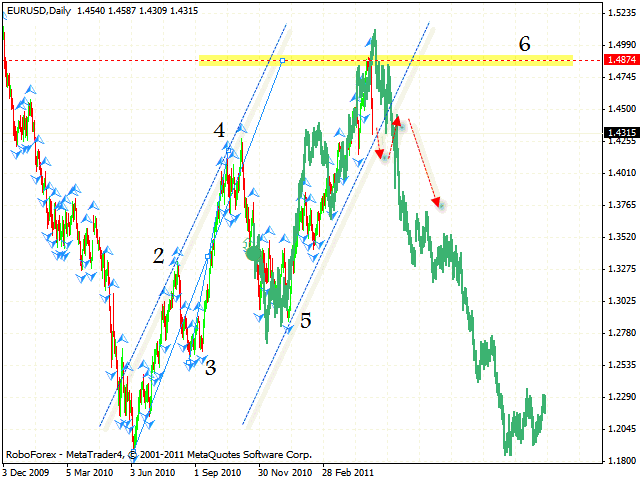 The weekly chart of the pair indicates that Euro may fall to the level of 1.10. 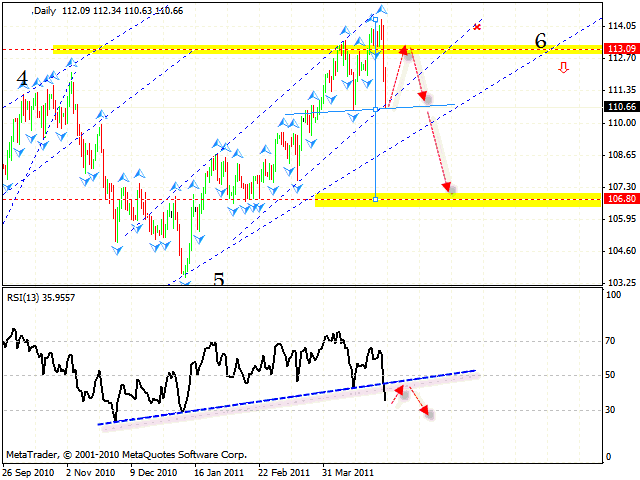 The RSI indicator hit the descending trend’s line and started moving in opposite direction. We should also expect the indicator to fall to the channel’s lower border. At the daily chart all targets of the rising pattern have been reached. One should consider selling the pair during a long term period only after the price leaves the rising channel. There is also some potential for “head & shoulders” reversal pattern to be formed. If the price grows to the level of 1.45, one can try the tight stop sales. But if the price tests the level of 1.51, this case scenario will be cancelled. The daily chart of EURO INDEX indicates a possible reverse downwards. The targets of the rising symmetrical pattern have been reached. The RSI indicator has broken the rising trend’s line thus indicating a possible trend change. If the EURO INDEX grows to the level of 113.10, there will be some potential for “head & shoulders” reversal pattern to be formed. One can consider selling Euro at this level. But if EURO INDEX grows higher than 114.45, this case scenario will be cancelled. At the weekly chart of the GBP/USD currency pair the RSI indicator faced a strong resistance from the trend’s descending line, we should expect it move downwards to the trend’s rising line. The pattern, which is being formed at the moment, may be a “triangle”. 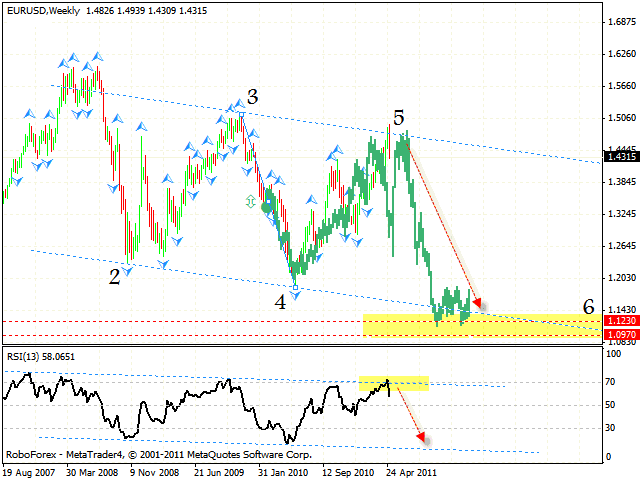 We should expect the price to move downwards to the pattern’s lower border in the area of 1.50. 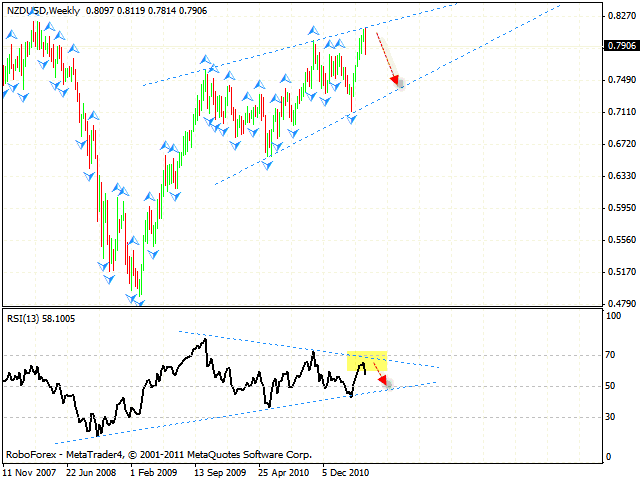 At the daily chart of the pair we can see the formation of “broadening top” pattern. 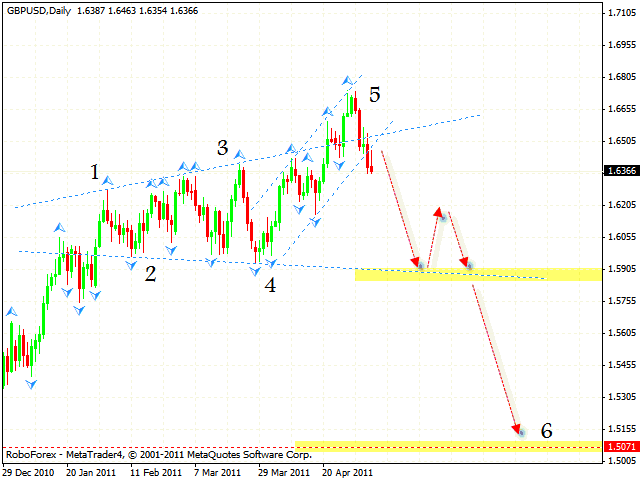 The first target of the fall is the area of 1.59. 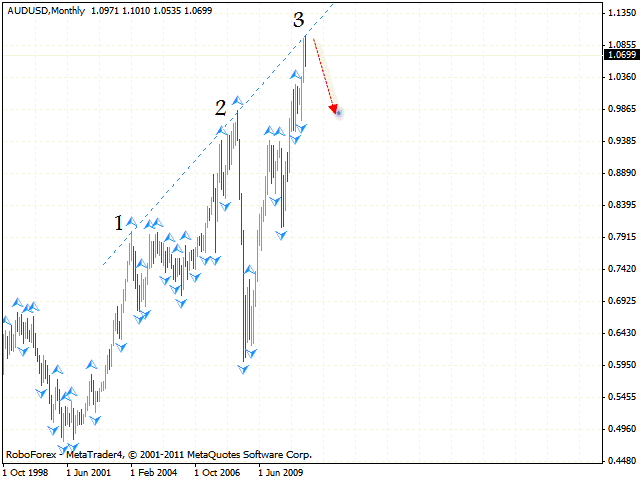 By the time price reaches the level of 1.5070, the pattern must be completely formed. One can try the tight stop sales. Franc has reached the target of the descendin gpattern. We should expect the reversal patterns to be formed at shorter periods of time and try to buy the USD/CHF currency pair. The target of the growth is the area of 0.9345. New Zealand Dollar hit the “triangle’s” upper border and we should expect it to move downwards with the target in the area of 0.74. 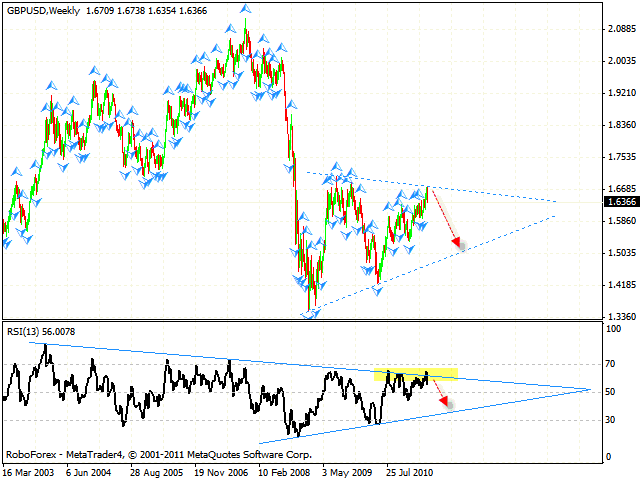 The RSI indicator is stuck inside the “triangle”, we should expect it to move downwards as well. 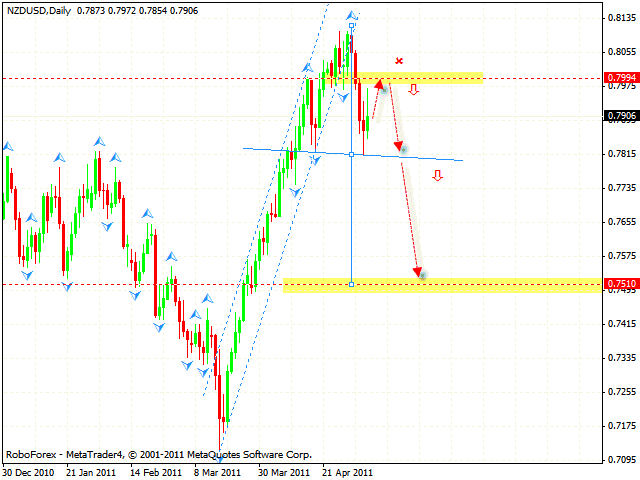 At the daily chart of the pair we have “head & shoulders” reversal pattern forming. One can try to sell the pair with the tight stop in the area of 0.7990 and consider increasing the amount of short positions only after the price breaks the neckline. 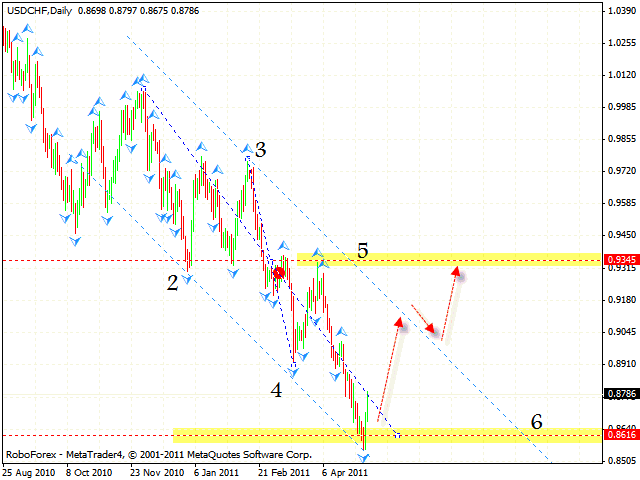 At the monthly chart of the AUD/USD currency pair we have “three little Indians” pattern forming. One can consider the tight stop sales at shorter periods of time.